The West Wales and the Valleys Convergence Programme covered 15 local authority areas including Neath Port Talbot, with a total programme value of approximately £1.4 billion. The emphasis during the programme was sustainable jobs and growth. Convergence funding was delivered through two funding streams; the European Social Fund (ESF) and the European Regional Development Fund (ERDF). A summary of the outputs of the Convergence Programme and a searchable database detailing projects funded through Convergence can be found within the Welsh European Funding Office (WEFO) website (external link). Aimed at reducing differences in social and economic conditions within the European Union, where prosperity (measured in Gross Domestic Product (GDP)) was 75% or less of the European average; Objective 1 invested around £1.3 billion across West Wales and the Valleys which included Neath Port Talbot. A selection of ESF and ERDF funded projects delivered during the period 2000 – 2013 across Neath Port Talbot are featured below. They include a variety of schemes which have helped to increase the economic prosperity of Neath Port Talbot including physical regeneration and up-skilling, training and work placements for local residents. Led by Neath Port Talbot County Borough Council, the project created a 4.8 km road link between Port Talbot town centre and junction 38 of the M4 and a 2km cycle route. Previously known as Peripheral Distributor Road, Harbour Way cost a total of £108.7 million and received a contribution of £55.9 million from ERDF and was created to relieve bottlenecks on the M4 and to open up brownfield sites for future development and employment opportunities. Harbour Way was officially opened to the public in October 2013. Led by Neath Port Talbot Council, a package of regeneration works in the commercial centres of Neath and Port Talbot included a Commercial Property Grant and Property Development Fund. 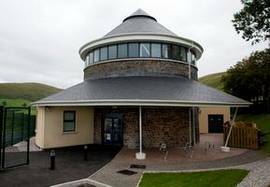 In addition, Croeserw Community Enterprise Centre was built along with environmental improvements within Croeserw. Officially opened to the public in 2013, the centre provides accommodation for community enterprises and small start-up businesses. Training rooms and workshops allow for training courses to be delivered on site and a café serves refreshments and/ or catering. The external floodlit games area has proven popular with local sporting clubs. The total regeneration package cost a total of £14.6 million, which received a contribution of £9.6 million from the ERDF. Workways helped to tackle barriers that prevented individuals from finding employment. The project provided support with job searching, CVs, applications forms, interview skills, telephone techniques and access to training. Participants were also matched with local businesses, which helped them gain the vital experience needed to find long term employment. Led by Neath Port Talbot Council in collaboration with Carmarthenshire, Pembrokeshire and City and County of Swansea, the South West Workways project cost a total of £25 million and received a contribution of £16.7 million from the ESF. The project ran from April 2009 to December 2014, during which 5,270 participants entered into employment. 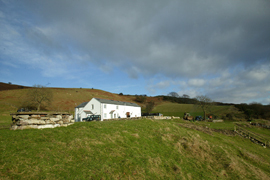 ‘Collaborative Communities’ supported the development of social and community enterprises across Neath Port Talbot, Swansea, Carmarthenshire and Pembrokeshire from July 2009 to January 2015. Within Neath Port Talbot, organisations received assistance and/or direct funding packages. Led by Carmarthenshire County Council who partnered with Neath Port Talbot County Borough Council, Pembrokeshire County Council and the City and County of Swansea, the project cost a total of £5.1 million and received a £4.1 million contribution from ERDF. For further information, please visit the Collaborative Communities website (external link). An acronym for ‘Creating Opportunities and Skills Teams Alliance’, the COASTAL project promoted employment and training opportunities to individuals who were experiencing serious illness, disability and/or social disadvantage, thereby reducing economic inactivity and reliance on incapacity related benefits. Led by the City & County of Swansea, the project was a partnership between 6 local authorities including Neath Port Talbot, Bridgend, Carmarthenshire, Pembrokeshire and Ceredigion. Costing a total of £41.3 million, the project received £22.7 million from the ESF and was operational for the period January 2009 to December 2014. Using a contribution of £8.9 million from the ERDF and with a total project cost of £20 million, the Local Investment Fund (LIF) provided flexible financial support to small and medium enterprises and start-up businesses. 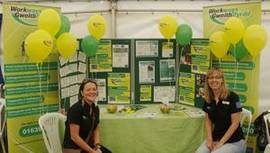 Led by Carmarthenshire County Council, LIF operated within the local authority areas of Neath Port Talbot, Pembrokeshire, Swansea and Ceredigion. Within Neath Port Talbot, over 150 private sector businesses benefited from funding from the Local Investment Fund. More information on LIF can be found in the Local Investment Fund website (external site). Led by Carmarthenshire County Council in partnership with City and County of Swansea, Neath Port Talbot County Borough Council and Pembrokeshire County Council, the Property Development Fund provided grant aid to developers to bridge the gap between the costs of providing or refurbishing commercial property and its subsequent market value, within specific strategic employment locations. 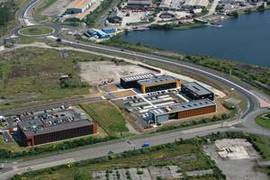 The total project cost £26.9 million and used an ERDF contribution of £10 million. In Neath Port Talbot, Deryn Properties secured a Property Development Fund grant to help develop a research and development facility at Harbourside, to provide opportunities for new and existing research and development companies. The Engage project helped thousands of young people aged between 14 and 19 across south Wales who were facing difficulties such as underachievement, absenteeism or at risk of dropping out of school or further education. 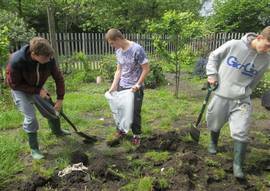 Tailored to each individual’s needs, the Engage project provided vocational training, one-to-one intensive support and activities to raise self-esteem and encourage young people to remain in education and improve their skills. Led by Neath Port Talbot Council in collaboration with Swansea, Pembrokeshire, Ceredigion and Carmarthenshire Councils and the six further education colleges across the region, the Engage project ran for period June 2009 to November 2012, cost £21 million in total and received £11 million from the ERDF. 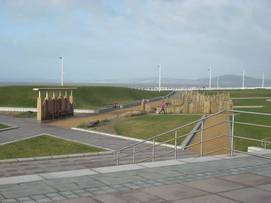 The development of the Sunken Gardens at Aberavon Seafront included new paths, ramps and steps. Beach facilities were upgraded including benches, waste bins and landscaping. The highlight of the scheme is a shingle beach garden feature. This has been complemented with soiling, planting and grass terracing. The gardens were officially opened to the public in June 2012. Funding contributions were received through the Green Sea (Beach Improvement) Programme through Visit Wales’ Environment for Growth (E4G) Coastal Tourism Project which was part funded by the ERDF through the Welsh Government. 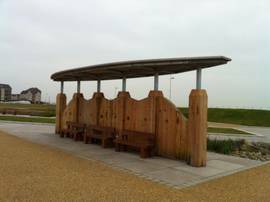 Costing a total of £156,000, the outdoor toddler play area, beach shelter and beach signage have improved the experience considerably for all ages who visit Aberavon Beach since their completion in 2012. The outdoor toddler's play area is designed for children aged between two and five. Adopting a seaside theme, the play area includes seating, bins, fencing and gate entrances. Located as a central feature within the redesigned and enhanced sunken garden, the new interactive beach shelter is now a focal point in the gardens. New signage installed along the beachfront promenade provide a plan of the seafront, emergency contact and safety information and details of local facilities such as car parking, toilets and local activities. As one of a collection of ‘historic gardens’, the gardens within Margam Country Park received investment for restoration and landscaping improvements. 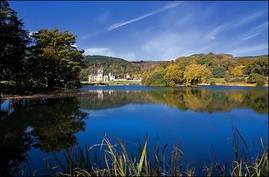 The improvement works cost £700,000, which included an ERDF funding contribution of £320,000 which has brought Margam Country Park’s historic gardens back to their former glory. Led by Pembrokeshire County Council in partnership with Neath Port Talbot, Swansea, Bridgend and Carmarthenshire Councils, the 'One Historic Garden' project formed part of Visit Wales' Environment for Growth (E4G) Sustainable Tourism Project with a total project cost of £4.5 million which was part funded by the ERDF with a £1.9 million ERDF grant. The total ‘Cognation’ project cost £4.3 million and received a contribution of £2 million from the ERDF. The ‘Cognation’ brand was developed to promote the mountain bike market of South Wales. 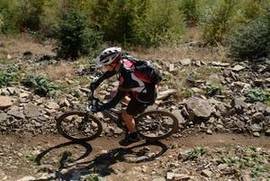 Within Neath Port Talbot, Afan Forest Park received large scale investments through the Cognation project, including the refurbishment of the Afan Forest Park Visitor Centre, the creation of family friendly mountain bike trails and improvements to existing mountain bike trails. Led by Neath Port Talbot County Borough Council, the project was a partnership with Caerphilly County Borough Council, Merthyr Tydfil County Borough Council and Forestry Commission Wales. For further information, please visit the Cognation website (external link). 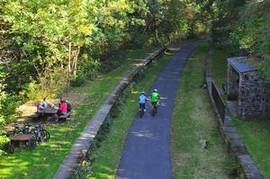 Costing a total of £22 million (which used a contribution of £13.3 million from the ERDF), Valleys Regional Park delivered an environment and heritage action plan to create a high quality, sustainable network of green space across the Heads of the Valleys and Western Valleys Regeneration Areas. A number of projects were delivered specifically in Neath Port Talbot, including improved interpretation and facilities at Aberdulais Falls, stone artwork installed throughout Afan Forest Park, resurfaced paths at Gnoll Country Park, a Welsh Waterways Festival held on Neath Canal, new entrance features at Amman Valley Trotting Club, environmental improvements along Neath Canal, new brown signage in the Vale of Neath and the installation of a new Afan Valley Connect 2 cycleway. 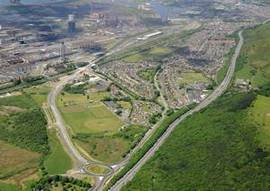 For further detail on all of the Neath Port Talbot projects, please visit the Valleys Regional Park website (external site). Led by Welsh Government, Valleys Regional Park created a partnership with a range of local authorities including Neath Port Talbot, Blaenau Gwent, Bridgend, Caerphilly, Carmarthenshire, Swansea, Merthyr Tydfil, Rhondda Cynon Taf and Torfaen, together with Sustrans, Countryside Council for Wales, Environment Agency Wales, Forestry Commission Wales and Groundwork Wales. The Regional Essential Skills for the Workforce project promoted and delivered basic skills/ essential skills training to employed people in the 5 local authority areas of Neath Port Talbot, Swansea, Carmarthenshire, Pembrokeshire and Ceredigion, namely the collective members of the Regional Learning Partnership South West Wales (RLPSWW). Led by the City & County of Swansea's Lifelong Learning Service, the project received £3.8 million in ESF funding towards the total project cost of £5.7 million. 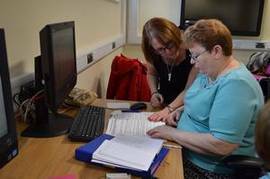 The project secured £847,000 in ESF funding for the Neath Port Talbot Adult Learning Network to deliver the contract of providing basic skills/ essential skills training up to Level 2 in the Neath Port Talbot area. The project started in January 2011 and ended in August 2014. Communities 2.0 was a Welsh Government programme, delivered by four partner organisations – the Wales Co-operative Centre, Pembrokeshire Association of Voluntary Services, Carmarthenshire County Council and the George Ewart Evans Centre for Storytelling at the University of South Wales. Much of the funding for Communities 2.0 came from the European Regional Development Fund. A number of Neath Port Talbot organisations such as a community groups, voluntary sector organisations and social enterprises received support and funding to improve their digital access through this project. The project ran for the period December 2008 – June 2015 and received £9.9 million from the ERDF towards a total project cost of £19.3 million. Further information on the project can be found via the Communities 2.0 website (external link).